There is a lot of confusion in the special needs planning arena. The first problem is you don’t know what you need to do. You know there are government benefits available, but how do you get those? What are they? Where do you sign up? When is the best time to sign up? You’ve heard about special needs trusts, but you’re not really sure what they are, if you need one, why you would need one, or how to go about getting one. This book is designed to help you answer these questions. 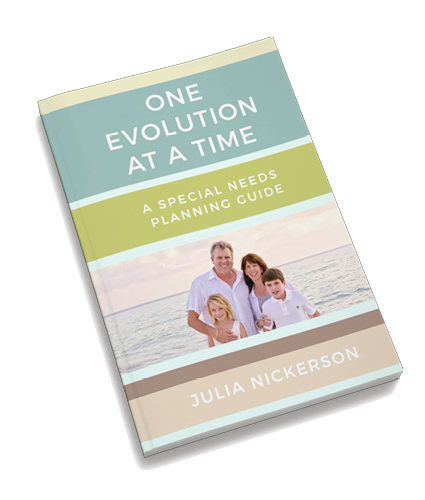 The chapters of the book are arranged in a specific order to help develop a foundation of special needs planning and then to build on that foundation to secure the future for your family. At the end of this book is a list providing a specific order in which to tackle each important task. If you are confused about your family's special needs planning, this book with change your life! It is the resource you have always been looking for and will help you feel, finally, like you know what is going on.